Marlon Teixeira dons sleek tailoring for Calibre's fall-winter 2019 campaign. 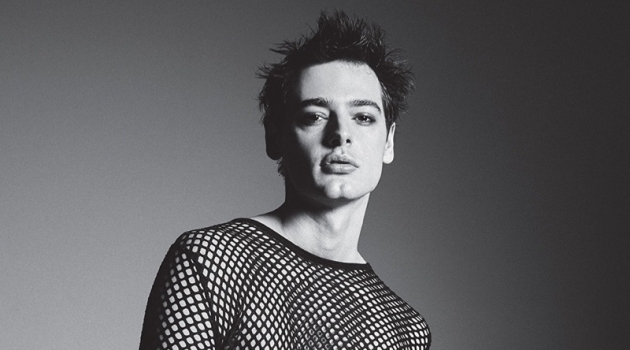 Calibre unveils its fall-winter 2019 campaign, which is entitled "Nocturnal Animals." The label looks to the fading of autumn's light and darkness of winter for the season. Reflective of a night sky, the key palette features black, navy, deep green, rust, and denim this winter. 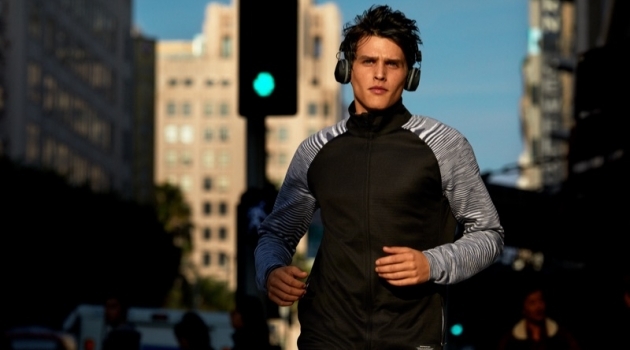 Marlon Teixeira stars Calibre's advertisement, showcasing the brand's latest must-haves. Marlon takes to a rich autumnal hued set for the outing. Front and center, the Brazilian model wears sleek style with Calibre's sharp tailored blazers and key items like its limited-edition shearling jacket. On a more casual note, Marlon sports Calibre's slim-fit jeans. 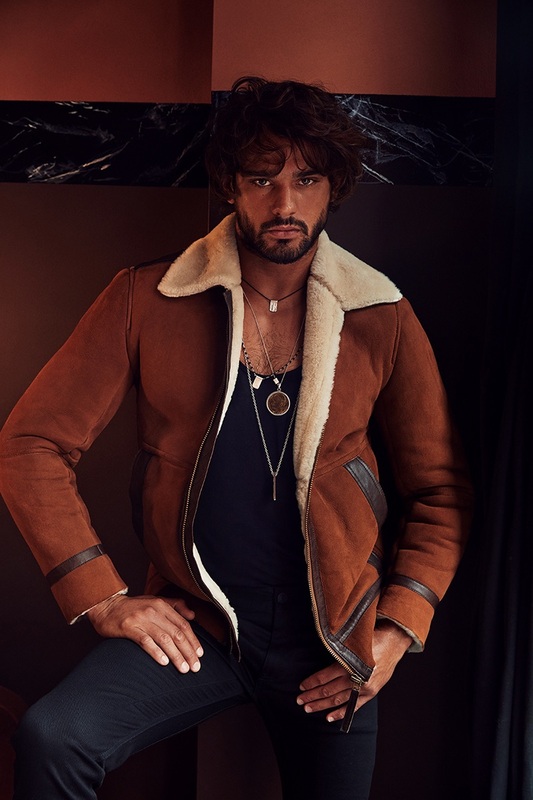 Model Marlon Teixeira sports a shearling jacket for Calibre's fall-winter 2019 campaign. Calibre enlists Marlon Teixeira as the star of its fall-winter 2019 campaign. Brazilian model Marlon Teixeira goes shirtless in denim jeans for Calibre's fall-winter 2019 campaign. Front and center, Marlon Teixeira stars in Calibre's fall-winter 2019 campaign.